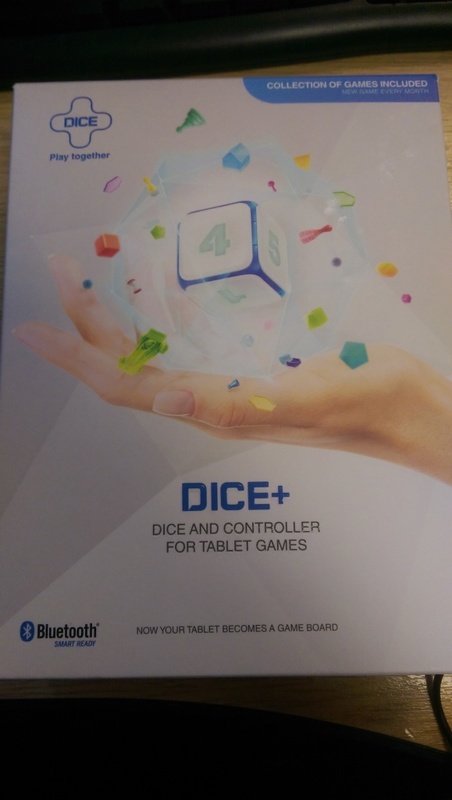 Dice+ has been around for a couple of years. 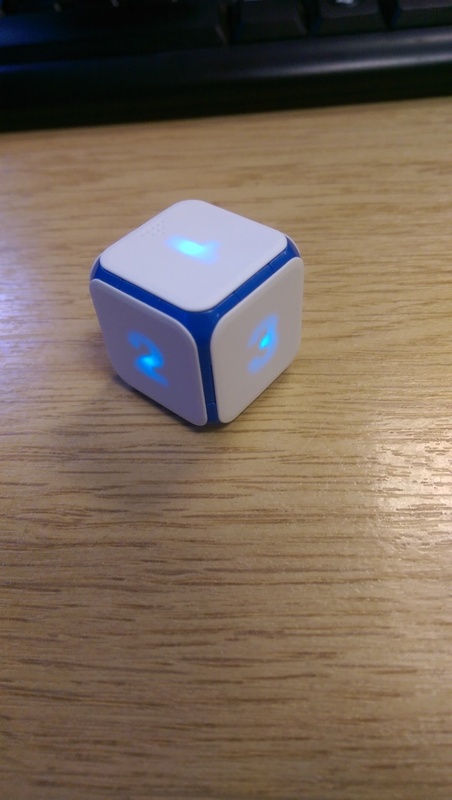 It’s a bluetooth-enabled die that aims to help people move away from dusty board games and into the future. It offers the players a physical way to interact with digital board games, without all the negative points such as clutter and losing pieces. 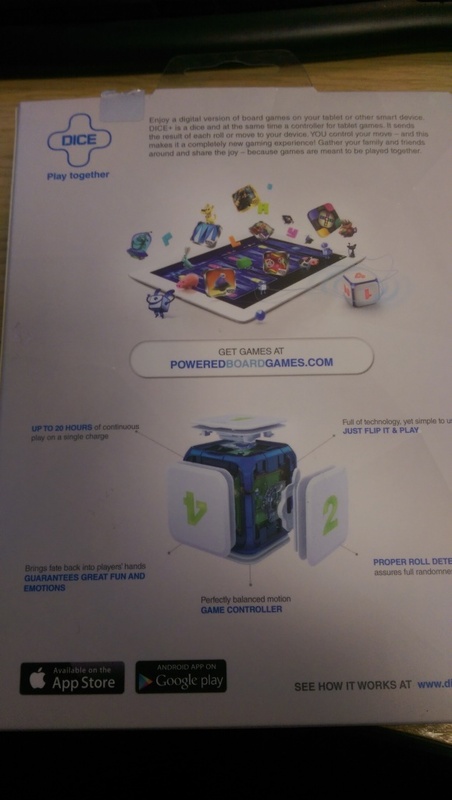 There are even a few features that could boost the overall game playing experience, like numbers that change color and an accelerometer that turns it into a motion controller. In theory the Dice+ has the potential to offer the best of both worlds, and it does so in a very classy, if a little pricey, way. 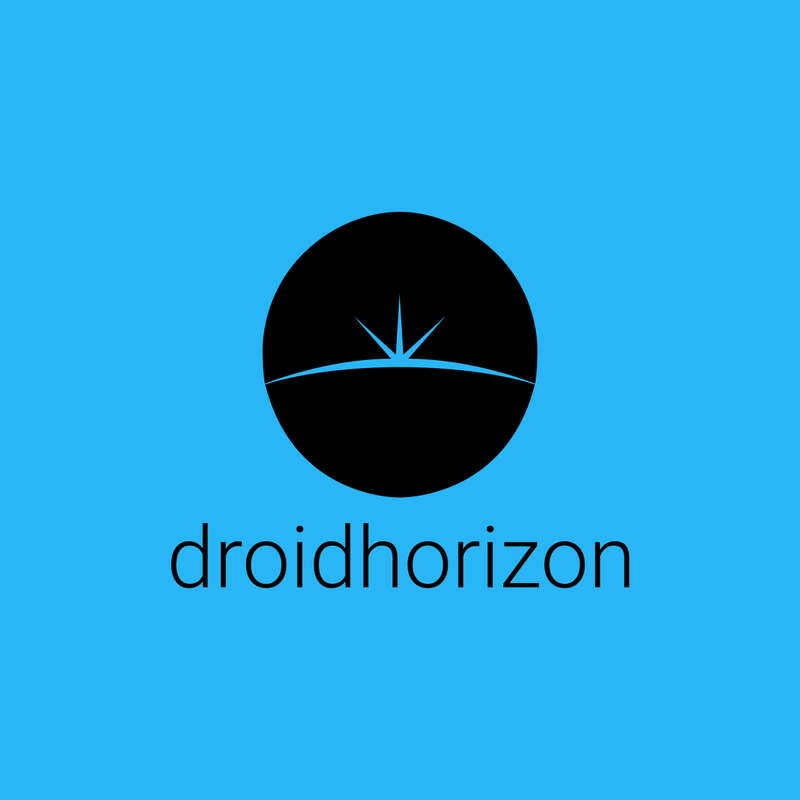 The device itself is a simple six-sided die that connects to your android device with only a spin. Each side is made from a rubberized material that’s especially great for rolling on smooth surfaces, as you don’t have to worry about the die sliding around too much. It’s light and comfortable. Under the 1 there is a hidden door, that houses the Micro USB port for charging the battery. The first thing that I liked about the Dice+ was the look, with its metallic blue and clear white sides, I was reminded of every film that was set in the future. When you turn the die over, you then see the LED lights that lurk beneath the surface, and illuminate the numbers. When left for a while the numbers start to flash and cycle through several different colors, and there are a couple of games that put this feature to good use. One such game is Dice+ Heroes, the die will always flash in the color of the current player, making it easy to tell whose turn it is. 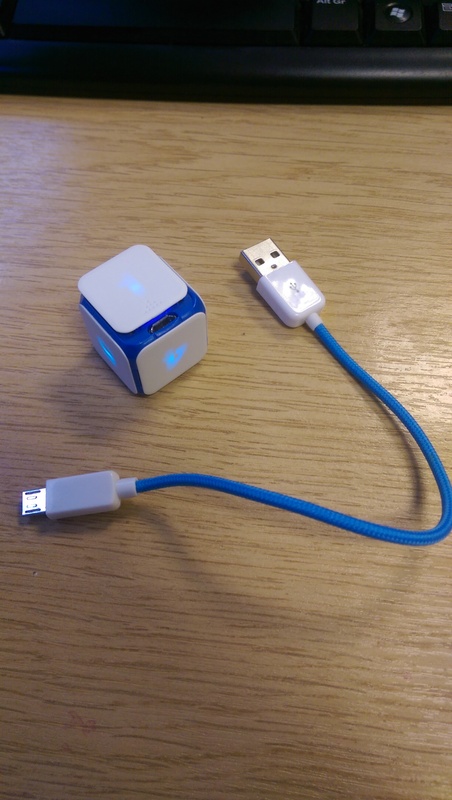 It works really well, but now comes the problem, theres a distinct lack of game support for this great device, there are 20+ games available at the moment of writing, though some aren’t on both Play Store and Apple Store.. You can download the app Dice+ Games, which has a couple of games you can play out of the box. There’s a futuristic version of backgammon, a couple of kid-focused games. My current favourite is Rumble Stumble, its sort of a portable version of Twister, forcing you to hold your fingers in an awkward position until your opponent takes their turn. It makes great use of the colour changing mechanic, as when you roll, you need to pay attention to both the number and the color to determine what you need to do. So rolling a red five, for instance, means you have to place a finger on five different red places on the board at the same time. It’s a fun party game, though you have to be careful of your phone/tablet. You can also purchase additional games through Google Play or the Dice+ Games app, though like I said including the games that are included you only get 18. There are games like a pirate themed card game, and Dice+ Heroes, none of which were particularly enthralling. Weirdly, there’s also a demo for a flight game that lets you use the die to control an airplane. You tilt the Dice+ in order to steer the plane, and tap on the top of it to fire bullets. Though I think this is meant more as a concept and less of a full fledged game. The above can make the £33 price for a single unit hard to understand, though there are a few titles coming soon that could make great use of the device’s unique features. Warhammer creator Games Workshop is adding Dice+ support to popular fantasy board game Talisman, for instance, while Renier Knizia is working on an interesting looking strategy game called Supremacy, which can be grabbed from here. There’s also a proper role playing game in the works called Dice+ Adventures, though it’s not out yet. These are the kind of games that would make people want to buy the Dice+. Players want complex titles with lots of rules and pieces that can be simplified on a touchscreen, while the die adds that touch of physicality that’s especially great for multiplayer gaming. Imagine playing an RPG where you don’t have to worry about doing any math. Dice+ is available now for £33. I would see buying it now as an investment, bigger and better games are coming. We should be encouraging devs to take advantage of this accessory and start adding it to their games.